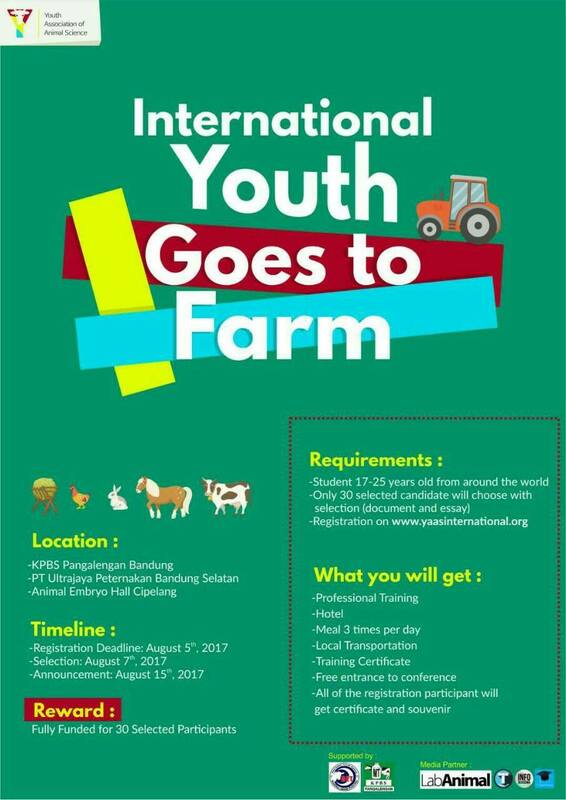 Youth Farmers, go register yourself in this awesome program and take your chance to have a lot of knowledge and experience for build Animal Industry and Veterinary. This chance will not come twice. Best experience of being farmers is waiting on you. Be the best 30 Candidates from around the world.